Settling down in the lovely little town of Mare-Sass wasn't an easy thing for Cataclysm. She couldn't do her usual job here, that was for certain, as there was no mining to be spoken of and few would trust a pony with lit dynamite as a cutie mark around explosives when foals were in the area. But, she learned to ply other skills in the settlement, mostly of barter and trade. Enough to help make a living off Jackhammer's skills with alchemy, at least. A few months after moving into the town she gave birth to a lovely little foal who took after the Solaris bloodline in build and stature... And luck, it would seem, as at a young age the filly got herself stuck under a pile of supplies being taken by the Followers of the Apocalypse to Manehattan without anypony realizing it. By the time that Cataclysm had realized her foal was gone, they had already long departed and despite repeated attempts to track the shipment down unusual circumstances continued to prevent it from being found. Radios lost signals unexpectedly, electronics shorted out and, in one case, an alicorn suffered a spontaneous and painful bout of amnesia when asked about the possible filly. Poor Cataclysm was forced to accept that she would never again see the pink-coated daughter which Solaris had forced upon her. 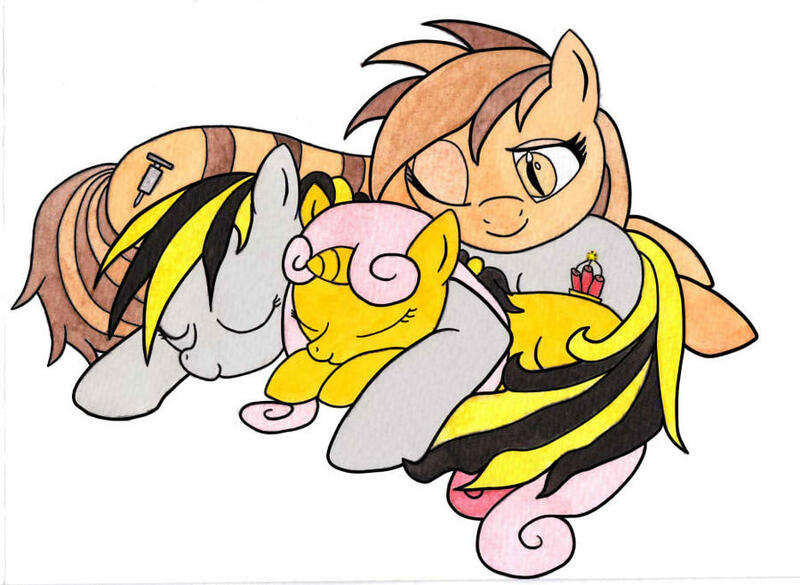 Despite her sadness at having lost the results of that less-than-wonderful encounter, she had managed to stay close to those she learned to care about on her journey, helping to ensure RoseBud and Light Seeker grew up to be respectable mares in their own right, and doing her best to reform Lina. A better life than most could claim in the wasteland. 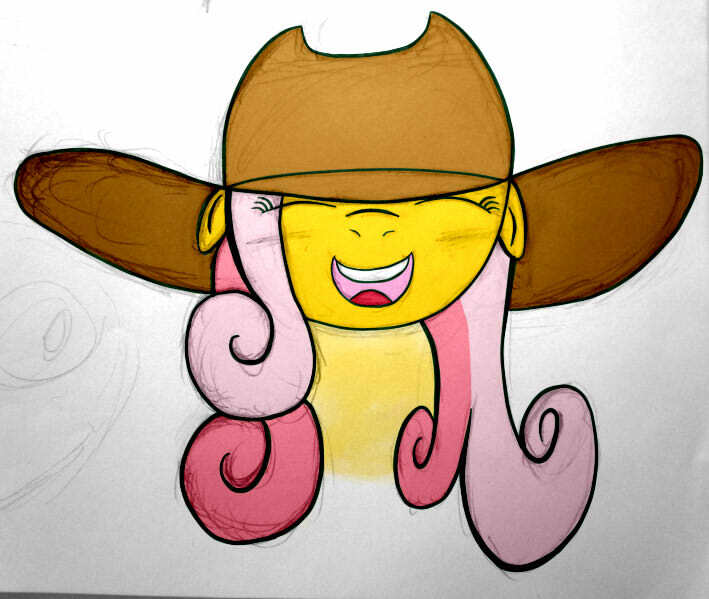 Now anyone that knew Jackhammer knew she was all about the mares. Still, in the wake of the loss of their poor filly, Jackhammer slipped into a brief bout of depression. Depression led to drinking, and drinking led to indiscretion. Indiscretion led to a chance meeting with a similarly inebriated stallion. To this day, she still can't recall exactly who it was she found and scarcely remembers anything that happened. Unlike most such stories, she didn't even wake up in the other pony's home. Instead, she woke up in a tree. How she got there is a bit of a mystery too. Keep in mind she was a big mare, built on the same scale as Big Macintosh, so she wouldn't be easy to lift, especially not for someone as small as Desert Lightning. Still, he or one of the former Enclave ponies were popular suspects among the gossips, especially when months later the orange and brown zebra gave birth to a gray zebrasus colt with brown mane, tail, and stripes and named him Dust Storm. As for Lina, she was just happy to have a new minion to train, and no one ever discovered the small vial of Changeling pheromones she'd acquired. Calibot came along too, of course. The stallion in a robomare's body couldn't resist following the Solaris beauty, Bianca, despite being told that her lab doors don't swing that way... Calibot found her own place to belong in Mare-Sass and quickly rose to the rank of security chief. 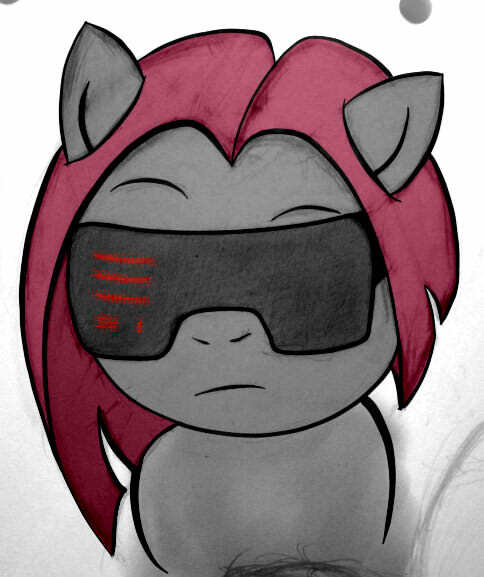 Thanks to her bravery, quick thinking, and overwhelming firepower, she was able to keep her friends and Mare-Sass safe from the horrors that still lurked in the wastes. Although Bianca might not be interested, talk of the town is that Rose Bud's mom has taken quite a shine to the polite robomare with a southern accent who always remembers to talk off her hat... especially since she lets Rose Bud play with it.